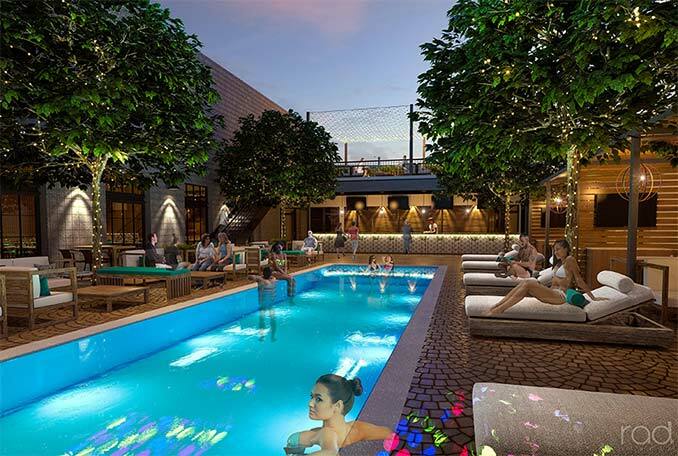 A new entertainment complex is planned for the 18b Arts District in downtown Las Vegas next year. 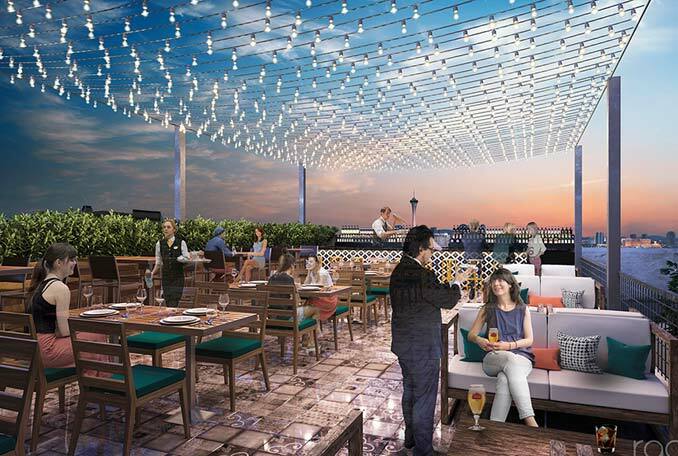 Treehouse, which will take over space that used to house the vintage clothing store The Attic, is 22,000-square-feet and will include a 300-seat restaurant, indoor and outdoor lounges, a sports bar, gaming machines, a nightclub, a dayclub with a pool, a rooftop bar and a speakeasy. 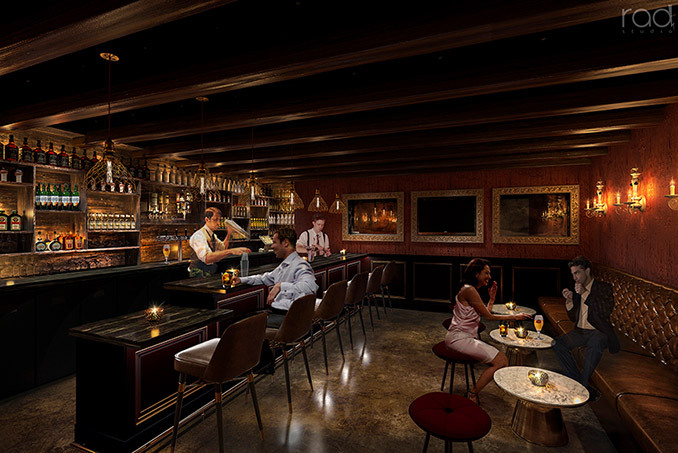 Artist renderings of the Treehouse Las Vegas entertainment complex in downtown Las Vegas. 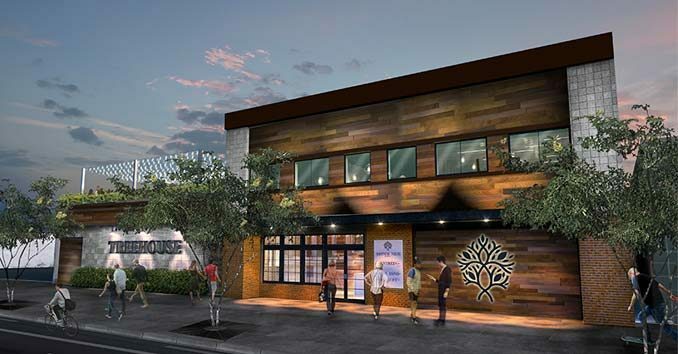 Treehouse will be located at 1022 Main Street and is being designed to allow for multiple activities taking place at once. 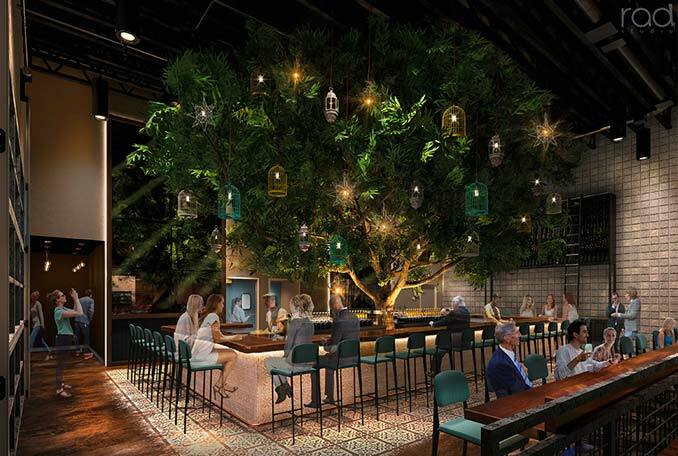 The space will offer full-height indoor and outdoor trees in a luxurious, green environment that is meant to give customers the feel of being out in nature even when they are inside.